Most pet owners like to believe that visits to their veterinarian will always be scheduled days or weeks in advance. However, many are faced with an emergency during their pet’s life. When this happens it’s important to know who to call and what to do to protect the health of your cat or dog. 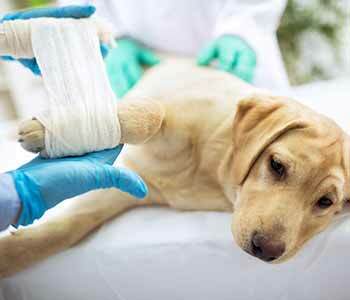 What is an emergency veterinarian? When you have pet emergency, you want to be seen by a trained vet who knows your pet and who you trust. Ideally, this will be the same professional who sees your cat or dog for regular checkups and wellness visits. Dr. Gutta and Dr. Sri of San Marco Animal Hospital near Jacksonville, FL, know that when a pet is in distress, owners want to reach a professional quickly. They encourage patients to call their office if they have an urgent need. Difficulty breathing: If your cat is struggling to breathe, or if your dog is panting excessively, call the vet. Also, look for a change in the color of the gums, which could indicate that oxygen levels are low or that blood is not flowing properly. Repeated vomiting or diarrhea: Dogs will often have tummy troubles, particularly if they eat something they shouldn’t. However, repeated episodes – especially those that include blood – should trigger an immediate trip to the vet. Not only could this be a symptom of a larger issue, such as intestinal blockage or ingestion of a toxic substance, it can quickly lead to dehydration. Common foods and products that can be harmful to animals include chocolate, grapes or raisins, insecticide, or cleaning products. Eating something they shouldn’t: Many dogs will chew on items they shouldn’t. While pet owners try to keep these items away from their pups, dogs can ingest items they shouldn’t. In some cases, this will only lead to a mess at home or a torn apart nerf football. In other cases, a foreign body can become lodged in the throat or stomach. Watch for symptoms like vomiting or a drastic change in behavior, and then call your vet for assistance. Seizures: Seizures can occur for many reasons such as disease, electrolyte imbalance, or brain trauma. Seizures can be scary for the pet owner and should be reported to the vet immediately. Trauma: Accidents can happen even with the most careful pet owners. If your pet suffers trauma such as a fight with another animal, a fall, or being hit by a car, call the vet immediately so he or she can check for internal injuries, broken bones, blood loss, or other effects. Even in cases when your pet seems fine, it’s better to have your vet perform an exam to be sure. Lack of eating or drinking: You may think your dog is just holding out for something from your plate, but if he’s not eating or drinking in a 24-hour period, it could be a sign of a medical problem, dental issues, or stress. A visit to the vet will help determine and address the cause. Bloat: Many intestinal issues can wait for a vet visit during regular office hours, however, if your pet appears to be bloated, you should call right away. When a dog’s stomach becomes bloated it can make it hard for him to breathe and can lead to a twisted stomach. Other signs include distended abdomen, pacing, or inability to get comfortable when lying down. 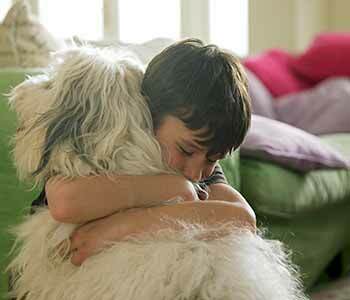 When your pet is in distress, it can be scary. It’s important to stay calm while you call your vet so that you can share the appropriate information. Your vet will listen as you describe the symptoms and determine if your pet should be seen right away or provide guidance on what to do at home. Dr. Gutta and Dr. Sri suggest saving the San Marco Animal Hospital number in your phone and in an easy to find place at home so that you can quickly locate the number and make the phone call. Once you’re in the office, they use state-of-the-art equipment to properly diagnose and treat your pet. For more information, call 904-399-5557.